The proliferation of thumb drives and external hard drives has made optical media like DVDs seem a little less handy—but there are still plenty of ways to put DVDs to good use. 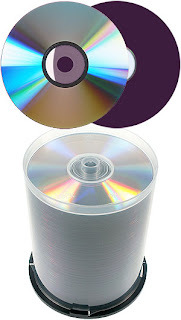 These shiny, multi-gigabyte discs can run entire operating systems, put movies on your computer and vice-versa, host a robust copy of Wikipedia, and do so much more, if you know how to work them. Check out some of our favorite hacks and tips for getting the most out of DVDs, whether released by Hollywood or purchased at OfficeMax. 10. Boot a custom operating system from a DVD. It's certainly not a trick you can't pull off with a CD, but putting a live-booting operating system on a DVD gives you a lot more space to fit the apps you really want and use, along with any files you keep going back to. You can roll your own Ubuntu system with Reconstructor, or back up your particular Linux desktop by making a live DVD with remastersys. You can even make your own live-booting Windows XP CD with this guide from TackTech. And when you're tired of pretending to get things done in live operating systems, try out some racing, shooting, volleyball, and ten other free Linux games on the linuX-gamers.net Live DVD. 9. Smooth over disc scratches with household items. From the files of the Can't Believe It Really Works Department: If you've got a DVD (or CD) that your drive skips on or refuses to play, and it doesn't look like it was dragged from the bumper on a cross-country trip, get out a little standard white, non-gel toothpaste, rub a little in the scratched portions, and buff it off. The stuff might just polish the disc enough, and smooth out its surface, to let a laser do its thing. If you're not sure that the tube in your bathroom cabinet passes muster, try reaching under the sink and polishing the disc with Pledge. The light wax can fill in the cracks and crevices and get you back to, uh, being productive, of course. 8. Mount ISO files as virtual drives. If you've backed up a favorite game disc, flick, or other DVD to ISO, or just happened to grab one from the ether of the web, you might not always want to spend the time, or spare DVD-R, on burning that image—and, besides, it'll run a lot faster from a hard drive. Mounting an ISO image as if it were a real disc in a drive is an established hack, and one that's pretty darned handy. We like Virtual CloneDrive for Windows, the built-in Disk Utility in Mac OS X, and AcetoneISO2 for Linux. They'll all save you a disk, and lend you that clever feeling that you've pulled a fast one on your system somehow. 7. Put Wikipedia on a DVD. To make the vast wealth of Wikipedia data available to schools without constant internet access, the SOS Children's Villages group created a 2.9GB, 5,500-article edition of the user-edited encyclopedia, Wikipedia school edition, that puts 20 million words at the fingertips of anyone who wants them. Great for on-the-go research (that you'll want to double-check and properly source, of course), actual school use, and it's one BitTorrent download you'll want to keep seeding after you're done grabbing it. 6. Create ISOs from DVDs. Need a copy of a DVD but lack for a blank? Want to re-create that perfectly ripped DVD of Space Ghost episodes for multiple friends? An ISO file is your best friend, because it works on any system in a ton of software apps. Windows users have, for example, the Free ISO Creator, Linux users can hack one together from the terminal, and Mac users can create disk images using the built-in Disk Utility. Grab a few DVDs you'd never want to lose to the ravages of time and create an ISO you keep backed up—one day, you'll be really glad you did. If you're a film nut, pack rat, or some mix of both, it can be all kinds of convenient to know what you've got on the shelf to watch, trade, or rip—or just print out and brag to your friends about. We've previously highlighted two free apps that can do that—Eric's Movie Database for Windows and DVD Hunter for Macs—but the $40 Delicious Library (Mac OS X) and DVD Profiler ($30, Windows) won out in our Battle of the Media Collection Managers for their intuitive interfaces and cataloging power. 4. Easily play ripped DVDs. There are lots of tools to rip video files from DVDs, but most of those videos take a hit in quality for smaller file sizes. On the other hand, getting those VIDEO_TS folders to just up and play isn't half as simple. At least, until you download Lifehacker's own DVD Play tool, which thumbnails Amazon cover art for any rips you've got stashed in a folder and plays them using that multi-tool of multimedia, VLC Media Player. If you've only got a few discs ripped onto your drive, or you just like to do it yourself, you can also check out Hackszine's guide to playing ripped DVDs with VLC. 3. Get your DVDs on your iPod or iPhone for free. The idea of watching TV episodes or entire movies from your iPod sounds like an air travel veteran's dream, until one realizes that Apple entirely expects you to pay separately for an iTunes copy of the flick. Skip that noise by using some really simple workarounds. Rick Broida explained a while back how to copy DVDs to our iPod using the free DVD Decrypter and Videora iPod Converter for Windows, and the mighty HandBrake for Mac OS X. There's since been Windows and Linux versions of HandBrake released, but two of your current Windows-using Lifehacker editors have found the free version of the Freez iPod Video Converter to be a fast, reliable converter to iPod-friendly formats. 2. Burn any video file to a playable DVD. In most cases, the idea of burning nearly any flick to a playable DVD is a lot easier than the implementation. Adam's run down an app and a method, however, to burning any video file to a playable video DVD, using the DVD Flick app for Windows. More than just converting data from any of 45 video file types, DVD Flick also allows for custom menu creation and subtitle insertion. If DVD Flick doesn't agree with you, there's also DVD Creator, also for Windows and also free. 1. Rip DVDs to video with little fuss. Let's guess that more than 90 percent of anyone trying to back up a DVD or play its video files on another platform don't want to mess with bitrates, audio codecs, or answer any questions about "passes"—just the playable file, thank you very much. Adam Pash feels very much the same, and created a one-click tool for DVD ripping. We've run down the more involved process for DVD ripping in Linux, while any user can rip DVDs with Handbrake or MacTheRipper. If you never want to choose single bit-anything, these tools won't make you do so.